South Jordan, UT will be home to the new 55+ community Springhouse Village. The popular Utah master-planned community of Daybreak will be getting its second 55+ community this spring. Joining Garden Park at Daybreak in the South Jordan community will be Springhouse Village at Daybreak. 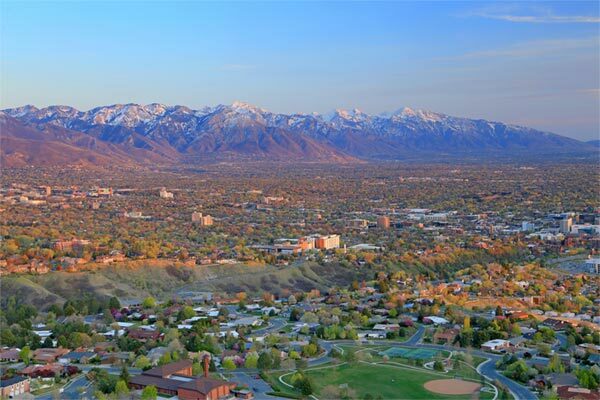 Oakwood Homes will be bringing 400 single-family homes, resort-style amenities, and an active lifestyle to the Salt Lake City Area. Springhouse Village will give active adults variety with ten separate floor plans in ranch-style or multi-floor homes. Features will include first-floor master suites, open-concept living, and large kitchen spaces. Homeowners will also be able to rest easy knowing the homeowners’ association will handle lawn care, snow removal, and exterior maintenance. The aptly named clubhouse—Springhouse—will include an array of resort-style amenities allowing residents to stay in shape and stay connected. Inside the 10,000 square-foot community center will be a state-of-the-art fitness center including a yoga studio. Outdoors, residents can enjoy a beautiful pool and patio space, alongside a heated spa and a fire pit. There are also pickleball and bocce ball courts, allowing residents to come together for friendly competition. Springhouse Village will make it easy for residents to stay active in their various workout spaces. The community will have a full-time lifestyle director and plans are already in place for yoga, dance, and fitness classes. Being a homeowner in Springhouse Village also means access to the amenities and lifestyle of the master Daybreak community. There, residents can enjoy the community center, Bingham Creek Preserve, the community garden, Oquirrh Lake, and much more. Learn more about the community by visiting our Springhouse Village page.